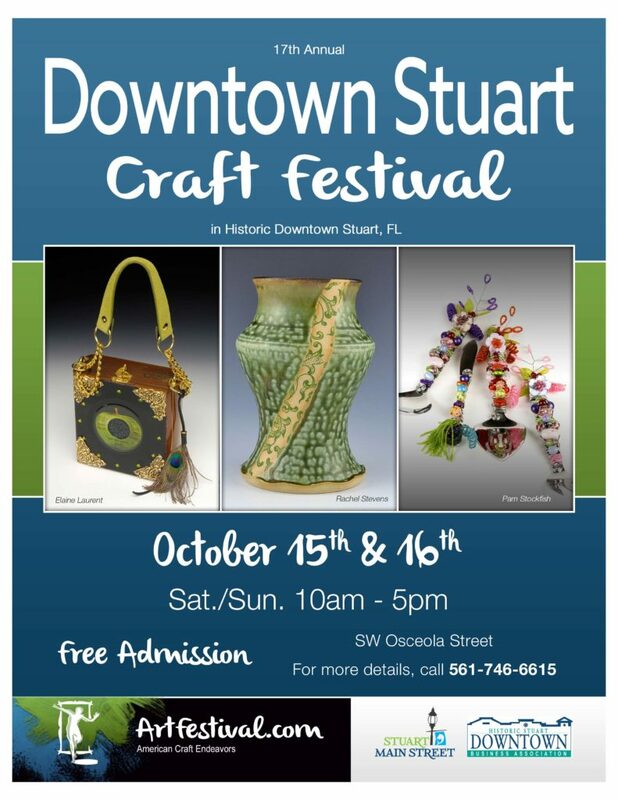 The Annual Downtown Stuart Craft Festival is nestled in the perfect location! The Annual Downtown Stuart Craft Fair continues with more than 100 crafters exhibiting and selling their work in an outdoor gallery. From photography, paintings, sculpture, jewelry and more showcased from local and traveling crafters, your visit to Downtown Stuart is promised to be a feast for the senses. This spectacular weekend festival is not to be missed.